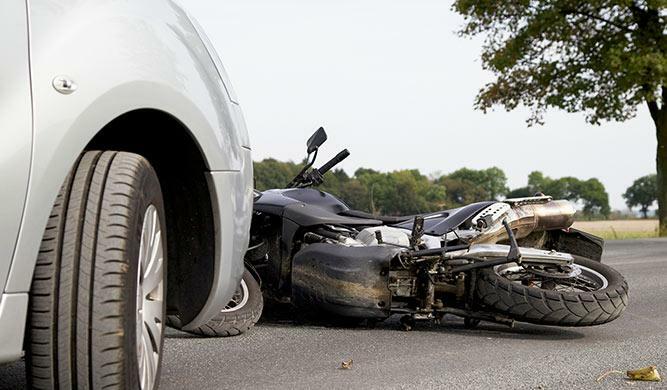 Motorcycle accidents happen, whether they are your fault or due to the negligence of another driver. The moments following these situations can be overwhelming. You might be experiencing physical pain, emotional trauma, property damage, lost work wages, long-term disability and even wrongful death. This is why you need experienced motorcycle accident attorneys to help you through every stage of the legal process. Our Personal Injury Attorneys Want to Find You Fair Compensation After a Motorcycle Accident. The motorcycle accident attorneys of Lee, Gurney & Hess want to help you make a full recovery. Your main goal should be to heal and return to your normal life as quickly as possible. Unfortunately, the legal and financial burdens can slow down this process. By working with one of our experienced motorcycle accident lawyers, you can focus on your health while we take care of the legal issues. Our motorcycle accident attorneys will help you win fair compensation, and make sure the insurance companies are doing their jobs. If you have been injured in an accident or are an attorney looking to refer a case, please contact our motorcycle accident attorneys for a free consultation. Lee, Gurney & Hess is ready to fight hard for your case! Click here to find out what to do following a motorcycle accident!